Active Real Estate Ltd. We are a leading Harcourt’s franchise owned and managed by Paul Ellis and Glenys Naik with a combined sales history in the Northern suburbs of approx 40years. Paul Ellis was born and raised in Johnsonville he has a high profile in the community and an excellent knowledge of the Northern Suburbs. Paul is married to Karen and they have two children. Glenys has been in the Real Estate profession in the Johnsonville area for over 20 years and has a passion for the Northern Suburbs. Glenys is married to Larry and they have four children and five grandchildren. Both Paul and Glenys are highly dedicated to the success of the Johnsonville area and the surrounding suburbs and encourage the growth of new residents moving to the area. Paul and Glenys work closely with their professional and dedicated sales team of 12 who are highly committed to give excellent service to the public. There are two offices owned by the Active Franchise one in Johnsonville and the other in Churton Park and their very highly skilled and professional team list and sell throughout the Northern Suburbs as well as the Greater Wellington area . Extra added value is provided by our Property/Rental Management Office owned and operated by Karen Ellis. Our focus is to provide an exceptional level of client service and to achieve this we utilise the very best resources in marketing, communication and training that the industry has to offer. Harcourt’s has been successfully helping Wellingtonians buy and sell property since 1888. Harcourts Johnsonville Active Real Estate Ltd. We are a leading Harcourts Franchise owned and managed by Paul Ellis and Glenys Naik who have a combined sales history in the Northern Suburbs of over 40 years. Glenys has been in the Real Estate profession in the Johnsonville area for over 20 years and has a passion for the Northern Suburbs. She is married to Larry and they have four children and five grandchildren. Glenys is highly dedicated to the success of the Johnsonville area, working closely with a skilled and professional sales team who are committed to giving excellent service to the public. Although based in Johnsonville, the team lists and sells property throughout the Greater Wellington region. Extra value is provided by our Property/Rental Management Office. Please contact us for a free market appraisal or if you require any advice concerning Real Estate. Harcourts Johnsonville. Active Real Estate Ltd. We are a leading Harcourts Franchise owned and managed by Paul Ellis and Glenys Naik who have a combined sales history in the Northern Suburbs of over 40 years. Paul Ellis was born and raised in Johnsonville and has a high profile in the community and an excellent knowledge of the Northern Suburbs. Paul is married to Karen and they have two children. Paul is highly dedicated to the success of the Johnsonville area, working closely with a skilled and professional sales team who are committed to giving excellent service to the public. Although based in Johnsonville, the team lists and sells property throughout the Greater Wellington region. Extra value is provided by our Property/Rental Management Office. Please contact us for a free market appraisal or if you require any advice concerning Real Estate. With a background in premium sales and a drive to succeed Ben Stephens is the Real Estate Specialist for you. Having previously worked for Jeff Gray BMW selling new vehicles Ben is no stranger to the sales market. With a personality to match, Ben will make the process of selling your property easy and successful for you. He will stop at nothing to get the results that you desire and will leave no stone unturned when it comes to marketing your property the way you envision it. Friendly, smart and honest are just a few of the words that come to mind to describe Ben. Ben quickly builds rapport with anyone he meets, whether young or old or from any demographic. Bens’ energy is infectious and so is his drive to give you the service you need and more. He is sure to impress you in all avenues of his work for you. With fresh insight, state of the art technology at his fingertips and a will to succeed, Ben is a sure bet for you when it comes to selling your property. Hi there, my name is Corey Watts and I believe in service first and foremost. The most important question is what is important to you in your Real Estate endeavours? Is it service? Is it Trust? Perhaps it’s the marketing or the costs involve? Whatever is most important to you is most important to me. Without a shadow of a doubt Real Estate involves houses and property but I strongly believe this is a principally a people business not a property business. This means the focus should be on the people involved in Real Estate transactions as equally, if not more than, on the properties. This means I am eminently qualified to carry out your important business. I have always worked in service and people oriented occupations and vocations such as hospitality, retail and policing. Real Estate is an amalgamation of all my previous experiences and allows me to utilise the valuable skills I have gained over time to achieve the best possible outcomes for my clients. I am focused, driven and strategic thinking, and my experiences as a Police Sergeant, Detective, and Armed Offenders Squad operator have given me the confidence and decisiveness to deliver a positive and productive negotiation process. Planning and preparation are vital in all Real Estate endeavours and I have the relevant skills to set you the best campaign plan. Real Estate is not just about turning up to open homes and smiling at buyers, it is a full 360 degree wrap around service. I believe in getting the best possible results for the fairest possible fee, and I take great personal pride in achieving great results not only for you first and foremost, but also for me – that’s success all round. I am widely known for being energetic and dynamic and displaying great enthusiasm in my work. I am prepared to do more than any other agent, try new tactics and strategies, and my commitment to your important business never wavers. Just get in touch about your specific Real Estate endeavours, I am always available. With my catalogue of Real Estate sales and the comprehensive support and resources offered through Harcourts, I have the information to give you the best advice and market opinion. Here are some recent validations: Corey was amazing at helping us sell our house. He was very friendly and professional, as well as optimistic and energetic. We felt straight away that we were in good hands and didn't hesitate to trust him entirely. We were right, the house was sold pretty fast for the price we wanted. I couldn't recommend him more! Thanks again for everything Corey ;-) Corey has been great in the sale of our house. He's worked tirelessly to bring buyers through and managed to bring multiple offers to the table. Thanks for all your hard work Corey! We found Corey to be very helpful and positive throughout what would have been a stressful transaction. He kept us fully informed and proactively guided us through to a very successful result. We thoroughly recommend Corey and would definitely use him again for Real Estate work. For the last 10 years, Fei has built a successful business through his ability to listen to his clients and empower them to achieve their goals within a fixed time frame. Now he is turning these skills to the Real Estate market with Harcourts, Wellington’s most trusted name. Willingness to help, timeliness and fluency in both Mandarin and English, Fei is always keen to deliver the best service in Real Estate. His empathy and enthusiasm translates into – sold! Fei loves the challenge of helping people fulfil their dreams when matching people to their ideal property. His professional qualifications and strong organisational skills make Fei the ideal choice to manage any property campaign. A natural talent for clear concise communication, Fei understands and acknowledges the necessity of working closely with both vendors and purchasers throughout the entire real estate selling process. “A Trusted individual bringing People and Property together”. Born and raised in Wellington I have spent most of my life here where I have owned and managed a number of businesses over the years, mostly in service and retail areas. I bring a wealth of experience, with nearly seven years in property management. I have always been a very strong believer providing excellence in customer service – directing my organisational skills and strong work ethic to the benefit of my customers across a diverse range of businesses. Following an overseas working holiday based in Toronto I returned to Auckland in Jan 2006 where I became involved in property management managing a high rise apartment building with 160 apartments and a rental pool of nearly 100 apartments. When the opportunity to purchase the managements rights of Monterey arose I decided that it was time to come home. Murrette Ferguson and I are the directors of Monterey Management Ltd, managing a complex of 91 apartments at Monterey in Churton Park, Wellington. I am also a licensed real estate salesperson with Harcourts and concentrating on sales in Monterey, to allow me to provide owners there with the widest service possible. A promise to impress when changing address. Meet Helen Feng - Harcourt’s fast rising star who’s picked to go far having listed and sold a staggering 20 properties in her first year in real estate with rave reviews from a string of satisfied customers. “Helen has been amazing, always on hand when we had any questions, so organised and managed the tidying up of our property.” Sarah & Dion. Helen’s commitment to her clients is beyond question and she demonstrates integrity at every stage of a listing from initial-appraisal to sale day. Her open, honest and regular communication leaves no room for confusion and you can be sure you’re getting the latest and soundest advice from an agent with her finger on the pulse of Wellington real estate. “We sold two houses with Helen and selected our real estate agent based on their reputation for honesty. She kept us updated through the sales process and achieved a great price on sale day. A great agent highly recommended to any prospective vendors.” Ganga. 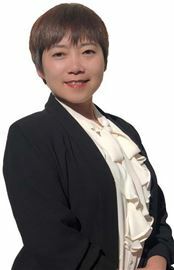 Born in the Xi’an in China but having called Wellington ‘home’ for 20 years together with her husband and daughter, Helen is tri-lingual in English, Cantonese and Mandarin and can connect your property with a broad range of buyers in both the Kiwi and Asian communities. Whether investing, buying or selling – contact Helen who can pack the satisfaction in your property transaction. 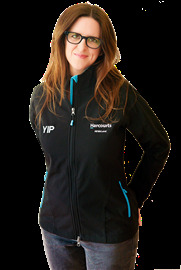 Hello & Welcome to Team YIP! We are the #1 Harcourts Real Estate Team in Wellington City & Northern Suburbs! We are an award winning team of 9 with the resources and ability to deliver an exceptional experience. We achieved a 100% Success rate in 2015 & 2016! It is our business not to let our clients down! We offer the most comprehensive range of services that ensures your house will fetch the highest possible price in the market place. Great thing... most of this is FREE! We have been fortunate enough to have lots of happy clients all over Wellington. We've even picked up a whole raft of awards along the way. We have the resources and ability to deliver an exceptional real estate experience. Team YIP is a cooperation of 6 licensed agents, and 3 support staff, we are also one of the few teams in Wellington which targets the premium overseas / Asian Buyer Market! ---------------------------------------------------- Do we sell Plaster Homes? Absolutely, we have specialist skills in selling monolithic / stucko / plaster homes - call us for a special chat about your needs. We have even helped people recover a lot of equity via their 'Leaky home' issues as well! --------------------------------------------------- Latest Testimonial: I trust Team YIP. I have been involved in over 20 sales with Anita and hers team, and what I can advise you, is that she puts her vendors first, each and every time. Not only that, she is smart and knowledgable, and always up to date. She is up early, and up late, doing what it takes to bring a buyer to your home. What I also respect about her is that she has a team of sharp and professional people around her, and she is happy for them to shine. I would let them sell my mother's house, and know, I do not have to worry. - Mike ------------- Did you know? ----------------- We also offer an in-house presentation and house dressing service – FREE of charge! ------------------------------ We sell homes in the Northern Suburbs, Churton Park, Newlands, Broadmeadows, Johnsonville, Woodridge, Grenada Village and also all over Wellington City! Buying and Selling is not a stressful process - We are have a range of skills / expertise that make things very easy for you! Team YIP offer you a complete experience and service that exceeds any expectations. We are also skilled in photography, video production, interior staging, baby holding, cat/dog patting, graphic design and much, much more. And generally.... we're a great bunch of people to deal with too! If you are looking for exceptional service & trust - We get it and we got it! Don't gamble with your biggest asset! Work with the very best! ------------------------------------- Video Testimonials available on our Facebook Page: https://www.facebook.com/mryiprealestate/ ----------------------------------------------------------- Another recent written Testimonial: "We recently sold our house through Team YIP from Harcourts Real Estate and if you are buying or selling property we would highly recommend them to you! We had a fantastic experience and what really stood out to us the most were Team YIP's communication with us, followed closely by his knack for making us feel that they were doing all they could to represent our wishes. We liked their straight up approach as we knew where we stood rather than wondering if it were "sales talk". Their positive attitude to see things through to completion were excellent. As a result we would fully endorse Team YIP and their approach to business, and would not hesitate to recommend them to anyone who is looking to buy or sell....thank you from the bottom of our hearts n best of luck for your future..."
I have been in the real estate industry for over 5 years with Harcourt’s Active Real Estate. After being involved in a successful team with Andrew Duncan for many years, I have now partnered up with Stephanie Vivian. As the Operations Manager I concentrate on improving our systems, and processes, and the day-to day business operations, while also continuing to market properties in the Northern Suburbs. I believe in strong communication and listening to my clients to help get them the best possible results. Having lived in the Northern Suburbs for over 20 years, I am able to use my sound knowledge and expertise of these areas to assist my clients. I am committed and passionate about Real Estate with a real “can do” attitude. Outside of Real Estate I enjoy CrossFit, and spending time with family. My kid’s sports keep me occupied and provide me with added challenges and enjoyment. "Let me be your go-to agent." Having worked in various roles including management, sales and marketing Noura is well equipped to find the solution that works. Noura prides herself on her strength to engage and understand who you are and what your needs are. This helps her find the best way to help you buy, sell or invest in real estate. Call today to get things moving. Having started in the Real Estate industry in 1999 the fact that everyday can bring a new challenge is the driving force behind my passion for this industry. Commitment and determination is something I have grown up with, having represented New Zealand in my chosen sport in the early 1990’s. Being a team player and all striving for the common goal gives me the attributes to perform above the pack in the Real Estate arena. Repeat and referral business play a major part in my many Real Estate transactions so if you’re looking for an agent you can trust give me a call. You will feel at ease working with an Award Winning! Agent such as Savita. With her confident, high-octane personality, Savita is a totally driven, hands on, go-getter who inspires all those around her with the positive energy she radiates. She’s in her element setting goals, then getting stuck in - 100% - to make sure she achieves them. 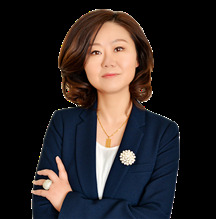 Because she loves to see the results of her hard work, she’s always sought new challenges - which is why she has found her niche in real estate. It’s a career she’s passionate about. For in real estate, there are no limits to how hard she can work or how high she can reach. Unsurprisingly this attitude makes clients feel as if they’re in safe hands too! From a particularly customer service-oriented family background (she has 3 children). Savita draws on 10 years experience in the sales and marketing industry before entering her real estate career of over 6 years. She’s held various consultant and supervisory positions plus she’s worked in the not-for-profit sector. Key to her success is her steadfast, honest approach as well as her positive, can-do attitude. An astute communicator, Savita works closely as part of a team with her clients. She ensures they fully understand all the intricacies of the sales process so they know exactly what to expect. Her attention to detail is exceptional. Clients appreciate receiving ongoing updates and weekly written reports throughout the marketing programme. Stephanie is originally from the North East of England and moved here with her family in 2000, she's now married to a good kiwi lad and settled in Newlands with their young son. Stephanie started her career in the hospitality trade managing bars and restaurants. She then went on to be a part owner in a catering company that has two successful cafes. 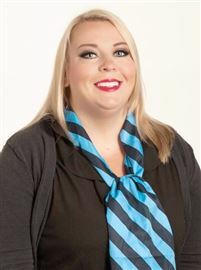 After hanging up her apron for good she wanted to get back to working in the Johnsonville community and enjoyed a role in property management before joining the team in blue. All of the roles that Stephanie has enjoyed has revolved around people. I have been in the real estate industry as a sales consultant for over 25 years, making significant progress in establishing myself as an important member of the Harcourts Johnsonville Team. I specialise in Johnsonville, Newlands, Grenada Village, Broadmeadows, and Churton Park, where I currently reside. Given my experience in theses norther suburbs I am able to utilise sound knowledge of these areas to the advantage of all my clients. I was brought up in Tawa where I was educated at Tawa College. I am married to Colin and have one son Dylan who currently attends Victoria University. I am the youngest daughter of two, and worked as a secretary in real estate for six years before joining the profession myself. Using those skills I had learned as an agency secretary I branched into the sales field. I have always wanted to be involved in the real estate industry, a career which I have enjoyed being successful in. I believe I am professional, honest and enthusiastic about my sales approach. Plus, I have a great ability to quickly build relationships of trust and friendliness with all my clients. This has repeatedly been reflected in client satisfaction of services rendered and reflected in recommendations of my services to others. I entered into a real estate partnership with Paul Myers over a decade ago, with this partnership proving to be very successful. With nearly 50 years of combined residential sales experience between us. Call and ask for me personally, for assistance in selling or buying your home. Wally has 21 years experience in the Real Estate industry, the last 19 years with Harcourts in Johnsonville. 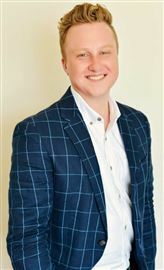 He has established himself as an important and respected member of the Harcourts Northern Suburbs team, making the top 20 in the region on numerous occasions. Wally specialises in Newlands, Paparangi & Grenada Village to the east and Johnsonville, Broadmeadows and Churton Park to the west. Living in Stewart Drive, Johnsonville he utilizes his vast knowledge (some 46 years) of the area to the advantage of his clients. Wally has been involved with selling and working with the public most of his working career. Starting back in 1968 when he moved to Wellington from North Auckland to start a grocery career at Jansons New World Supermarket, Newlands. He had his own New World in Tawa for 8 years. Married to Heather, Wally has taken a keen interest in the community with 17 years involvement with Kau Kau Round Table Community Service Club and is a keen supporter of the local rugby club, 4½ years as Club Chairman, coaching and managing teams over the past 30 years. Wally’s professional, honest and enthusiastic approach plus his ability to quickly gain a relationship of trust and friendliness with his clientele has repeatedly resulted in recommendations to their friends and family. Wally is committed to offering the highest level of service in assisting buyers and sellers in achieving their goals. He is proud to have the support and backing of Harcourts, the No 1 Real Estate Group nationally. Wally believes the best compliment to receive is when a client passes his name on to a prospective buyer or seller. Hi, I'm Ali from Harcourts... I offer a professional, value based, boutique service with the backing of New Zealand's most trusted real estate brand. I feel like I've really landed butter side up - what a thrill it is to be working with one of the best teams in the oldest and largest real estate agency in New Zealand. My toolbox is packed full of options to sell your house at the best possible price, Wellington wide. A background in boutique retail, design, admin and project management gives me the perfect skill set to successfully market and sell your home while taking care of what really matters. Let's be honest it's all about the deal, the money, the outcome. But there's no point in doing anything if you don't do it properly and for me that's putting you above everything else. Let's work together to achieve what you want in the way that best suits you. I purchased my first home and income producing property at age 24. For nearly 20 years I've worn the hats of renovator, landlord, designer, developer, buyer and seller and have been a member of the New Zealand Property Investors Federation for 12 years. My hobbies include repeating myself over and over, eating chips in secret and constantly picking up my couch cushions off the lounge floor. In other words I am a Mum and understand what Wellington families need in a home and what they need from their agent in order to sail smoothly through a property transaction. And if you can negotiate successfully with your 5 year old you can negotiate with anyone! Big picture down to the tiniest of details, my aim is to exceed your expectations with the kind of personalised service you desire. And have every right to demand. My goal? Your goal ... "The most house for your money and the most money for your house". Lets talk soon. 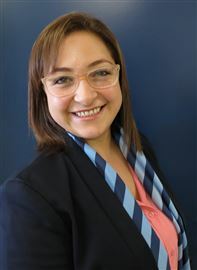 Elsa brings business experience from owning her own textile company overseas but, for more than a decade, has worked in service industries in her adopted hometown of Wellington. Elsa has tertiary qualifications in accounting and textiles and complements her skills with a commitment to helping people. It is her interest in people, and the recognition that a homes is the base for wellbeing, that draws Elsa to Real Estate. Whether you are buying or selling Elsa will work hard and interactively to ensure that your needs are met. 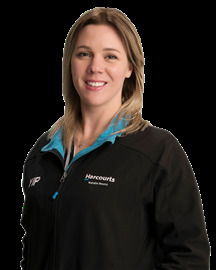 Elsa is excited at the opportunity to be apart of the Harcourts Active Real Estate Team. I have lived in the Johnsonville area since 1980 when my husband, Mike and I bought our 1st house. Our 3 children attended Johnsonville West Kindergarten, West Park School, Raroa Intermediate and Onslow College. We chose Johnsonville to make our home because it is so central, being only a 10 or 15 min drive to Wellington, Lower Hutt or Porirua. I have enjoyed working for Harcourts Johnsonville as their Office Administrator since 1996. Rent or Renovate - YIP! MRDA Zoned 1012m2 Site!? YIP! Once in a Lifetime? YIP! Moved on and ready to sell! CCC Almost Done! See this now! Your Acre Of Paradise? Yip! Wooden It Be Nice? YIP! Start a Plan on Whitehouse. Ngaio! Make The Call Today! Your Slice of The Kiwi Dream! Afford this? Yes You Can! Last Week! Owners on the move! First Home in Newlands? YIP! New Home, Easy Care Living! Owners Moving! Priced to go! 1 Owner - Must be Sold! Chance of a Lifetime? YIP! First Home Buyers Dream? YIP! Bags Packed! Got to Sell! On the Market after 38 Years! Dble Glazed & Fully Insulated! Cute as a Button? YIP! Yes You Can Afford This One! Location & The Good Life! Modern, Sunny & Easy Living! Private Section & Build? YIP! Needs to be sold before Xmas! Owners on the move? YIP! Priced to Sell! Come see it! Thought You'd Missed Out ? YIP! Make me your home!